Bolivia is a landlocked country in central South America, to the east of Peru and Chile. It is home to rugged Andes terrain, spectacular desert vistas and lush Amazon rainforest. Bolivia is also one of the poorest countries in Latin America. Nearly half of its population of 10 million people live below the poverty line. There is also no universal healthcare. Bolivians without financial means cannot access healthcare and simply go without essential treatment. While some government hospitals exist, they are still typically ‘user-pays’. As a consequence, many cardiac conditions are left untreated or even undiagnosed. One of the major struggles for doctors in Bolivia is accessing high quality training and professional development. Training opportunities are few and many hospitals are unable to grant leave to their staff. Identifying this need, the Rotary Club of Norwest Sunrise in Sydney established Medicos Bolivia. 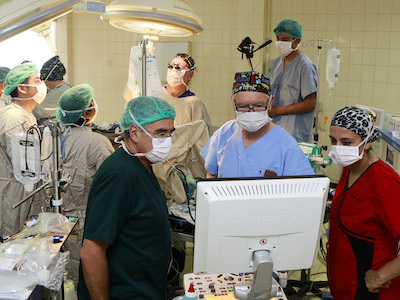 It aims to help doctors in Bolivia develop skills in cardiac surgery, while also giving patients access to life-saving surgery they would normally be unable to afford. 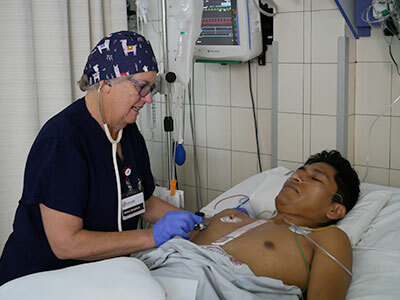 Open Heart International collaborates with Medicos Bolivia to provide volunteers, expertise and strategy. 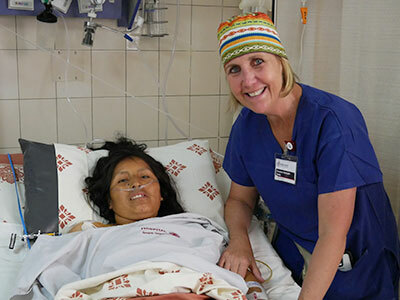 During our visits to Bolivia, a team of approximately 10 senior medical volunteers are based at the University Hospital Univalle, on the outskirts of the Cochabamba city. 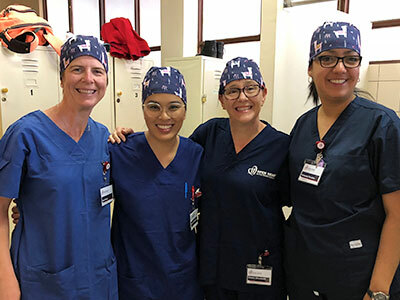 During an intensive week of surgery, our expert volunteers help train the local doctors and nurses to provide world class cardiac surgery and after care. 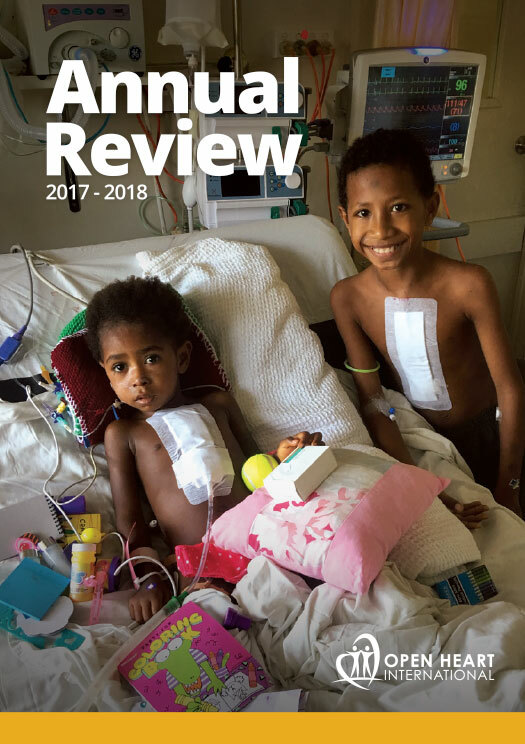 A large portion of their work involves heart valve repair and replacement, resulting from long-standing rheumatic heart disease. We hope that one day Bolivia will have an affordable cardiac service for its people. We hope you can help us to continue to train the smart and dedicated doctors and nurses of Cochabamba, Bolivia. Like many boys in the small villages of Bolivia, Wilson enjoyed playing sport. He loved to run and play ball games with his friends. Wilson noticed that he was becoming breathless when running and gradually, over time, even when walking. At just 16 years of age, Wilson was diagnosed with a serious heart condition. The diagnosis left Wilson and his family devastated. With no home of their own, they had no way of paying for the surgery needed to save his life. Wilson lived with this bleak fate for the next ten years until the team from Open Heart International arrived in Cochabamba. At 26 years of age, Wilson became their very first patient in Bolivia. Wilson’s hope for the future is inspirational. With your help, we can give people like Wilson a chance to live a full and happy life.